Dr. Jernej Letnar Černič ist Dozent für Menschenrechte an der Graduate School of Government and European Studies, Brdo pri Kranju, Slovenien. The position of a judge at the European Court of Human Rights is one of the most sought-after functions in the European judicial space. The persuasiveness, quality and legitimacy of judicial decisions often depend on the individuals who occupy judicial positions. Respective interest groups therefore often attempt to shape the processes for selecting judges at either the national or international levels. The process of nominating and electing judges to the European Court of Human Rights is therefore essential to ensure the appearance of their perceived and actual independence and impartiality. The national nomination processes of judges to the European Court of Human Rights is therefore in most Central and Eastern European countries highly prestigious and thus often politicised and riddled with several obstacles. The first paragraph of Article 21 of the European Convention on Human Rights and Fundamental Freedoms provides that “the judges shall be of high moral character and must either possess the qualifications required for appointment to high judicial office or be jurisconsults of recognised competence”. National criteria vary from state to state and may ask the candidates to demonstrate “professional reputation of the field of human rights and fundamental freedoms” and “high moral character, impartiality and integrity.” However, such legal concepts are quite open to subjective interpretation. In this way, it seems best to also assess a candidate’s competence based on their ex ante work. This is in line with the Parliamentary Assembly of the Council of Europe’s Resolution 1726 (2010) which requires “that national selection procedures must be rigorous, fair and transparent in order to enhance the quality, efficacy and authority of the Court” (para. 7). Article 22 of the European Convention on Human Rights and Fundamental Freedoms provides that “the judges shall be elected by the Parliamentary Assembly with respect to each High Contracting Party by a majority of votes cast from a list of three candidates nominated by the High Contracting Party”. However, once candidates pass through a national nomination stage they face of number of other checks. Thus, before the vote candidates must undergo a series of interviews before the Subcommittee on the Election of Judges to the European Court of Human Rights of the Committee on Legal Affairs and Human Rights of the Parliamentary Assembly. Such a rigorous selection procedure should ensure that only the best candidates are elected due to their experience and expertise in the field. In the first round of voting, the candidate who received the majority of votes in the Parliamentary Assembly will be elected. If no candidate receives the majority, in the second round a relative majority is sufficient (see the Information Document of the Committee on Legal Affairs and Human Rights of the Parliamentary Assembly of the Council of Europe, paragraph 13). However, even though the selection process in the Council of Europe is quite rigorous and strict, it does not fully exclude the possibility of day-to-day politics interfering with the national selection process. The Council of Europe does not have much influence on the national selection procedures. Consider, for instance, the ongoing national nomination process for three candidates for a judge on behalf of Slovenia. The mandate of the incumbent judge at the European Court of Human Rights on behalf of Slovenia expires on 31 October 2015. Therefore, in spring this year the Ministry of Justice of the Republic of Slovenia started a selection procedure for the nomination of three candidates to the Parliamentary Assembly of the Council of Europe by publishing a call for applications. Seven candidates applied, namely six men and one woman. The Judicial Council of the Republic of Slovenia prepared a ranking of the candidates and proposed that the President of Slovenia sends the names of the three highest ranking candidates to the Slovenian National Assembly, which had to vote on that list in order for it to be sent to the Parliamentary Assembly of the Council of Europe. (However, the list was not welcomed by human rights experts in Slovenia as no candidate with ECHR expertise applied). Therefore, at the end of August the President of Republic of Slovenia refused to send the list of the three highest ranking candidates to the National Assembly and requested that the Ministry of Justice repeat the call for applications. It is not entirely clear why the President rejected the list approved by the Judicial Council, but it appears that he was not impressed by the candidates’ merits. Surprisingly, at this point of time the Ministry of Justice does not plan to repeat the call for application. However, this may change because just a few days ago a new government assumed office. This situation is not unusual in national selection procedures as the position of ECtHR judge is a highly prestigious function. However, the particularities of the national selection often remain hidden from the public eye. The Council of Europe does not have much possibility to monitor the objectivity and transparency of national selection procedures. However, it can reject a national list of proposed candidates. For instance, last June the Parliamentary Assembly rejected a list of candidates for a judge on behalf of the Slovak Republic and requested the state to submit a new list of candidates (n.b. a new judge on behalf of the Slovak Republic has still not been elected even though the incumbent’s mandate expired on 31 October 2013). Similarly, the Council of Europe rejected Turkey’s first list of candidates in 2007. Further, in April 2012 Human Rights Watch noted as regards a proposed Russian judge that “are some problems with the constitution of the commission empowered to select candidates« and that the commission »did not include any representatives from civil society organisations or the office of the Ombudsman«. All in all, the 2008 PACE Report accordingly notes that national nomination procedures are “still unsatisfactory«. Therefore, the Committee of Ministers now also offers advice to the Member States through an advisory panel of experts on national selection procedures. Arguably, the Central and Eastern European countries may be more prone to unfairness in their national selection procedures because their judiciaries have often remained closed, self-sufficient and formalist. More reasons can be found in excessive formalisms, post-communist judicial cultures, a lack of self-criticism of judicial structures and a lack of independent media in most Central and Eastern European states, and all of them may have influenced the national selection procedures of judges to the ECtHR. In those countries, the merits of the candidates may only play side role in the nomination process and where the nomination of candidates to the European Court of Human Rights comes down to brutal daily politics and attacks on the candidates in the media. However, the reasons for the problem-ridden nomination process can be located in the remnants of the former totalitarian regime, creating excessively formal legislative and judicial cultures, which may be open to various political influences. Therefore, those states need to improve the fairness, transparency and independence of their national selection procedures. The procedure for selecting judges to the European Court of Human Rights is important since the people who interpret and develop the text of the articles of the European Convention are the judges of the ECtHR. The judges flesh out the content of the ECHR as a ‘living process’ in judgments and in separate concurring and dissenting opinions. The ECHR is a normative document for the protection of human rights with maximum legal value and force, but it is also a political document that contains a number of unsettled legal concepts. Such legal concepts can be interpreted by people – judges – who decide in concrete cases with different levels of knowledge and experience. It is crucial that the selection procedures for judges of the European Court of Human Rights take place in an open, fair, rigorous and transparent manner on the basis of a careful assessment of the candidates’ professional references. The selection commissions should demonstrate perceived as well as genuine independence. European judges, like other judges of the highest courts, reflect their personality, beliefs and values through their decisions and separate opinions. However, once judges are elected their work will be assessed on the reasoning and persuasiveness of the arguments found in their judgments and decisions. 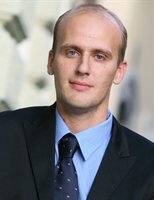 SUGGESTED CITATION Letnar Černič, Jernej: Pitfalls of the National Selection Processes of Judges to the ECtHR, VerfBlog, 2014/9/25, https://verfassungsblog.de/pitfalls-national-selection-processes-judges-ecthr/.